Uttar Pradesh State Technical University (UPTU) is ready to perform the UPSEE or Uttar Pradesh State Entrance Exam 2016 at various locations of Siliguri. They have scheduled the exams on 17th, 23rd and 24th of April, 2016. 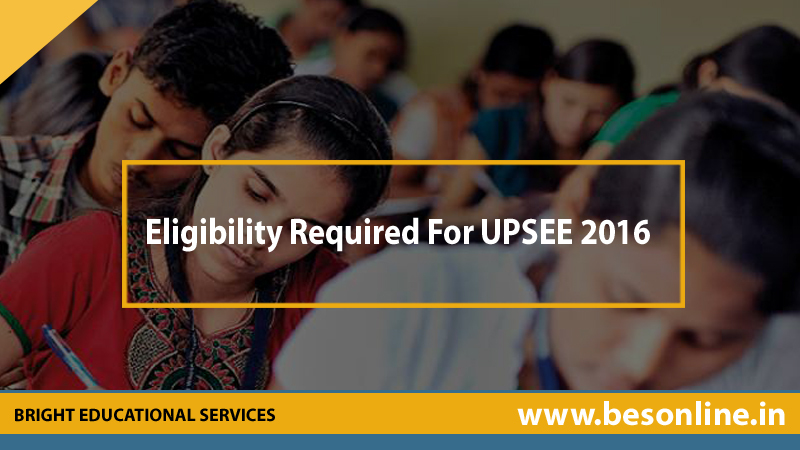 The eligibility criteria for UPSEE are updates on the official website of UPTU. B. Arch: Physics, Chemistry and Mathematics/Biology should be the compulsory subject for candidates, interested to apply for first year. They must have passed the intermediate exam or 10+2 level exam or such correspondent exam from UP Board or any other recognized board or university with minimum 50 per cent marks in total of all the three subjects. B. Tech/ B. Pharm: Physics, Chemistry and Mathematics/Biology should be the compulsory subject for candidates, interested to apply for first year. They must have appeared and succeeded in the intermediate exam or 10+2 level exam or such correspondent exam from UP Board or any other recognized board or university with minimum 45 per cent marks in aggregate of all compulsory subjects. BHMCT/BFAD/BFA: Willing candidates, who wants to attend these courses, must have appeared and succeeded in the intermediate exam or 10+2 level exam or such correspondent exam from UP Board or any other recognized board or university with minimum 45 per cent marks without grace in aggregate, where 40 per cent marks is the minimum quota for SC/ST categorized candidates. You can check the official website of upsee.nic.in for further details. If necessary, candidates can correct the detail in the application form from March 29tgh to 30th, 2016. ← Student Testimonial of the Week!